We make it fast, easy, and safe to sell your electronics for cash. Visit one of our conveniently located Walk-In retail locations. Our expert gadget technicians will quickly test and assess your gadget’s worth based off current market trends. Yes, we buy some broken devices too! You can also choose to be paid in PayMore Trade Credit at a higher rate if you plan on shopping in our retail store. 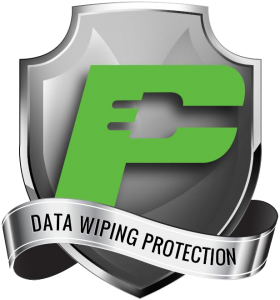 All devices purchased are fully data wiped of all personal data for your protection. Selling tips for a fast visit and getting top dollar! We will need to power on your devices to test them, if they already have power, your visit will be even faster. If you can’t charge them or don’t have the chargers, our staff should have the necessary power cables to get your device up and running. Bring any boxes, chargers, cables or accessories your device may have came with. The more you can give us to work with the more cash we can offer you! Logout of your iCloud or other cloud accounts on your devices. If you are having trouble we can always assist you in-store, no worries! You must be at least 18 years of age, and have non-expired State or Government photo ID to sell to us. State Driver’s License, State Permit, Social Service Photo ID, State ID Card, Military, Green Card, United States Passport, International Passport. We buy broken Electronics such as iPhones, iPads, Macbooks, Mac Minis, iMacs and more.